Could This Be The Hidden Cause of Your Gut Misery? Without you realizing it, there could be a hidden danger lurking in the folds of your digestive tract. 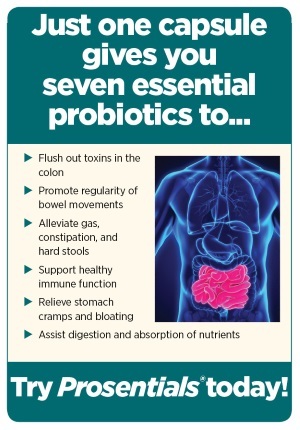 To begin, the friendly bacteria that live in your digestive tract play a very important role in your body's health. For example, these bacteria are involved in the process of breaking down the food you eat, and help strengthen the function of your immune system. Poor dietary choices, however, can reduce the amount of friendly bacteria in your gut as can the use of antibiotics. Stress can also interfere with "good" bacteria living in your GI tract. Now, in addition to the colonies of good bacteria inhabiting your insides, there's another "critter" found deep in the lining of your intestinal tract -- a yeast entity known as Candida. Under normal circumstances, Candida is kept under control by the armies of friendly bacteria that inhabit the same inner real estate. However, when your good bacteria is depleted by aging, stress, poor diet or wiped out entirely by antibiotics, you are vulnerable to an overgrowth of Candida and bacterial toxins. The rapidly spreading Candida cells spread their venomous toxin throughout your entire body. The resulting toxic fungal invasion can have serious consequences to your health. An overgrowth of Candida can make your life miserable. To give you an idea of what goes on, Candida creates and releases over 70 different toxins like ethanol and acetaldehyde into your bloodstream. Over time, Candida converts into its fungal form, and begins to lodge more stubbornly in the intestinal wall and other mucosal linings. This then can create a more porous intestinal tract, known as "Leaky Gut Syndrome", which keeps the pathway open for toxic bacteria to affect your whole body. The bottom line is that Candida is a ruthless and dangerous enemy. 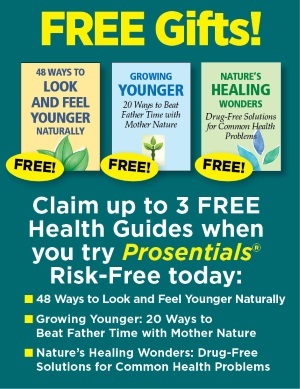 Under optimal conditions, one tiny Candida cell can produce multiple millions of offspring in a just 24 hours... and 24 hours later, each of those multiple millions of NEW Candida cells are producing multiple millions more! That kind of toxic overload is often too much for the body to handle... especially if your good bacteria are in short supply. 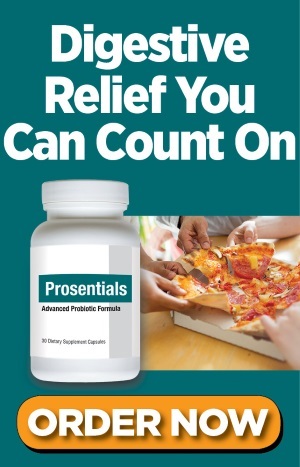 What makes Prosentials unique is that it was developed to be your best line of defense against Candida. It contains 6 potent probiotic strains to replenish your good bacteria, PLUS the fungal-fighting S. boulardii probiotic yeast. 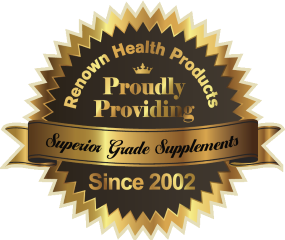 It’s the only formula that works to neutralize and kill the bacterial and fungi toxins that can make your life a living hell. 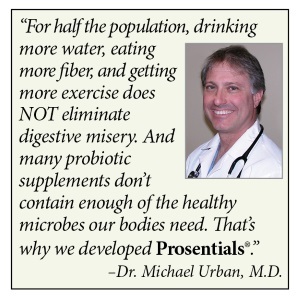 Take it every day for optimal digestive health. (3) Roosen J, et al. Comparison of premortem clinical diagnoses in critically ill patients and subsequent autopsy findings. Mayo Clin Proc 2000 75:562-567.